When ever I compliment someone on a shirt or a piece of Jewellery and they tell me how it was there fathers or Grandmothers, I smile. I smile because it shows how garments and jewellery can be passed down and loved all over again. Its the ultimate vintage. Family Heirlooms have more history than just the date, they can have stories and sentimental value. The Jewellery box above is my Great Gran’s. Or our Wee (Great) Gran as we call her. This Jewellery box is now in the hands of my mother. 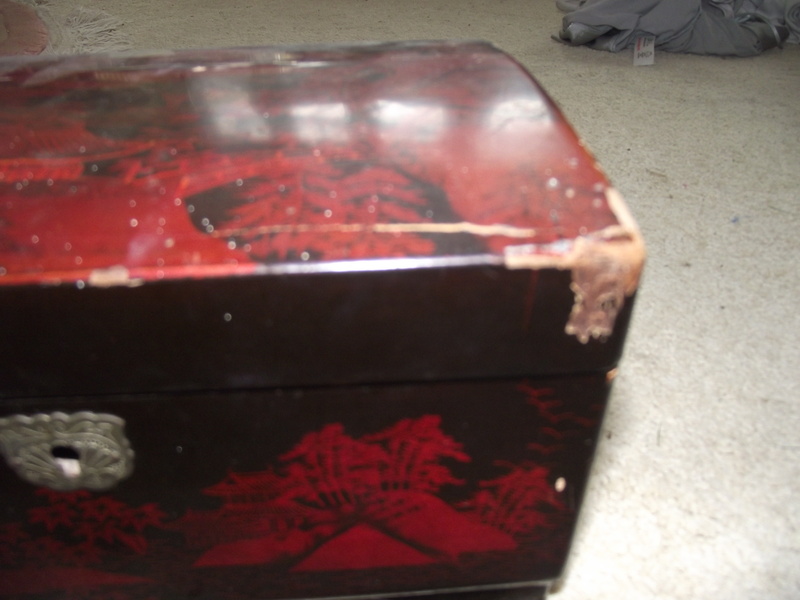 I have fond memoires of this box growing up, it has an oriental style and when you open it the box sings. It contains one of those mechanisms that chimes a tune when opened, I use to open the box just to hear the beautiful song. 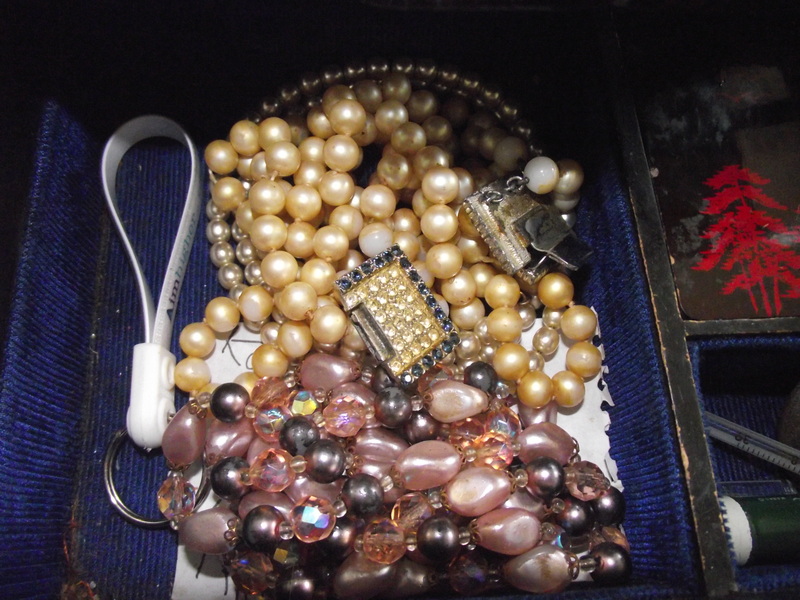 The box contained a collection of costume Jewellery. No real value but a lot of sentimental value. As a child I used to try it on and pretend to be all grown up. I felt the right little lady trying on Jewellery from a real jewellery box. I guess you could say this is my first memory of being interested in fashion and it all stems down to the tune that indiced me to open the box in the first place. 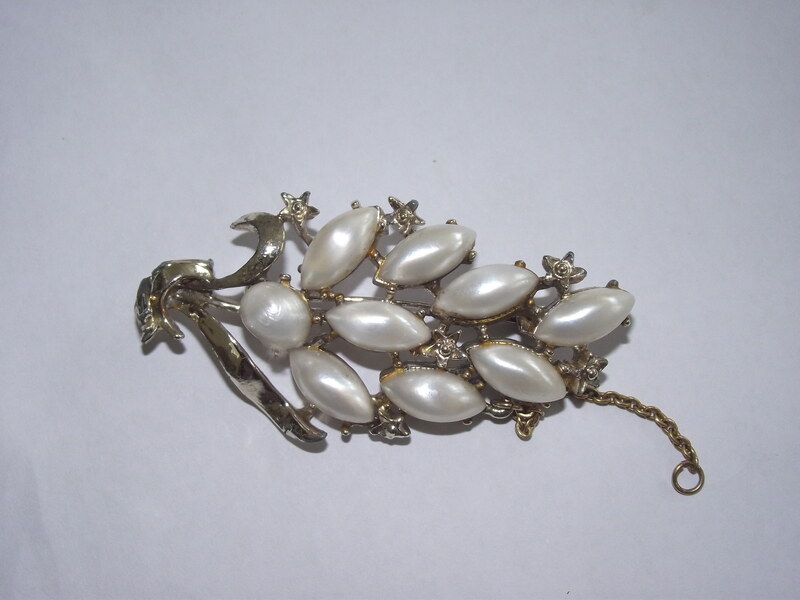 This broach is a key piece from the Jewellery box for me. Its a Scottish thistle, my family come from Scotland originally so for me this holds proud memories. I am very proud of my Scottish roots and my Great Gran was as Scottish as they got. All the warm of a Scott with the tough love that makes a Scott so honest and down to earth. I remember her yelling at me one night when I wouldn’t go to bed in my own bed, I was terrified but she loved me. Considering I have never been to Scotland you may struggle to understand why I feel so Scottish and I think the answer is a simple one; a nation which is proud makes anyone with a connection to that nation proud to be part of it. 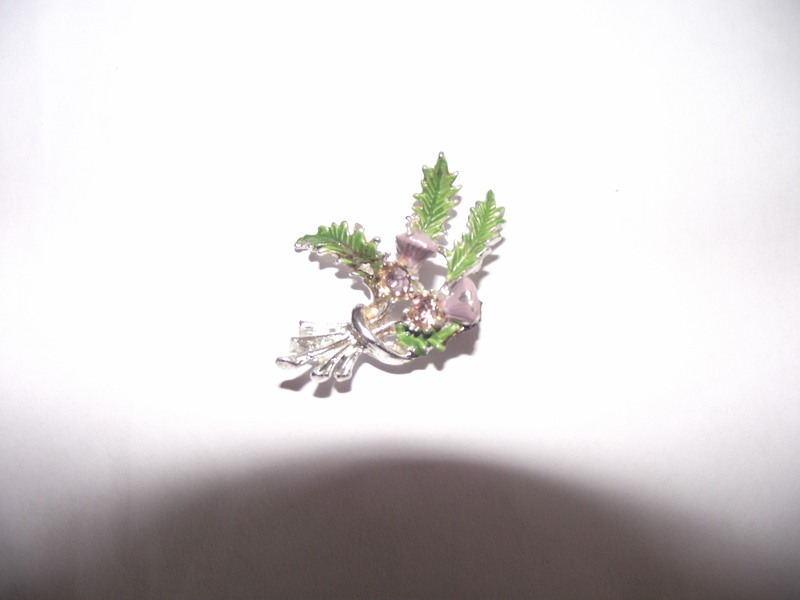 This is another broach which was part of the collection. I used to love trying this on for me I feel an elegant broach is one of the most important pieces of jewellery a woman can own and this probably took its root as a child when I would look through this box and admire. This string of beads used to capture my young eyes. The sparkles, the pink and purple tones. Growing up I was a tomboy but still the sparkle dazzled my imagination. Looking back at this piece now I realise how unlike this is to my taste but still the memories are there. This necklace is the reason why I like pearls so much. 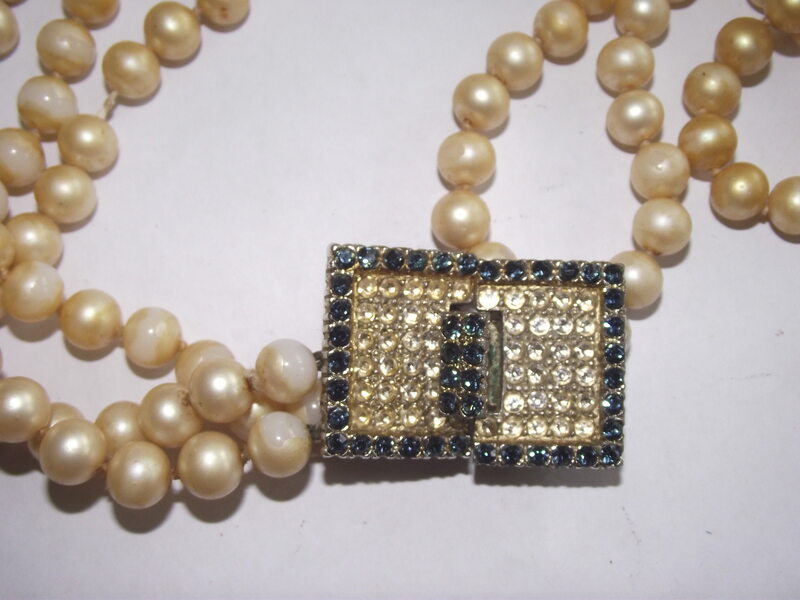 The catch is broken so I can’t actually wear this piece which is a shame and the fake pearls are losing there paint but that doesn’t take the gleam of things for me. I like the statement catch with three stings of beads coming of this it has an elegance which is strong. Do you have any much loved family heirlooms? 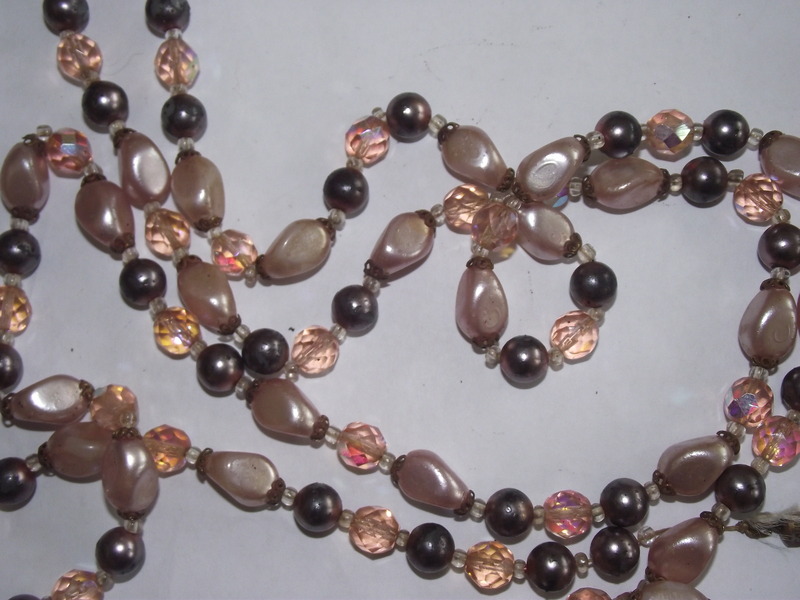 or pieces of Jewellery/garments that were past down to you and you still very much love? If so I’d love to hear about it in the comments.